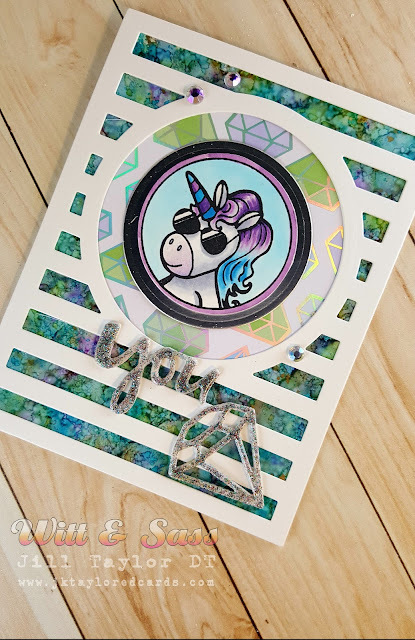 Hey there friends and crafters, today I am sharing my last card featuring the Chubby Unicorn Stamp set by Witt & Sass Stamp Company. This is such a fun set, I could make many more cards but alas, there are other stamp sets to present, so this will have to be it for now!! This card is relatively simple. I of course featured "Mr. Cool" with his shades on as the center of my card. I colored him with my Copic markers and some clear Wink of Stella for shimmer to his hair, horn and snout. 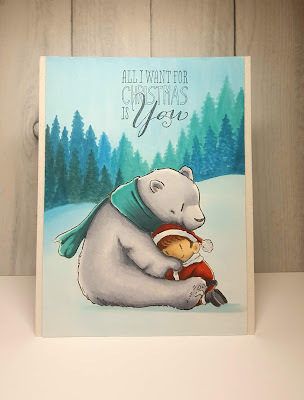 I had a card base previously made of Yupo paper and Ranger alcohol inks that was perfect for this card. 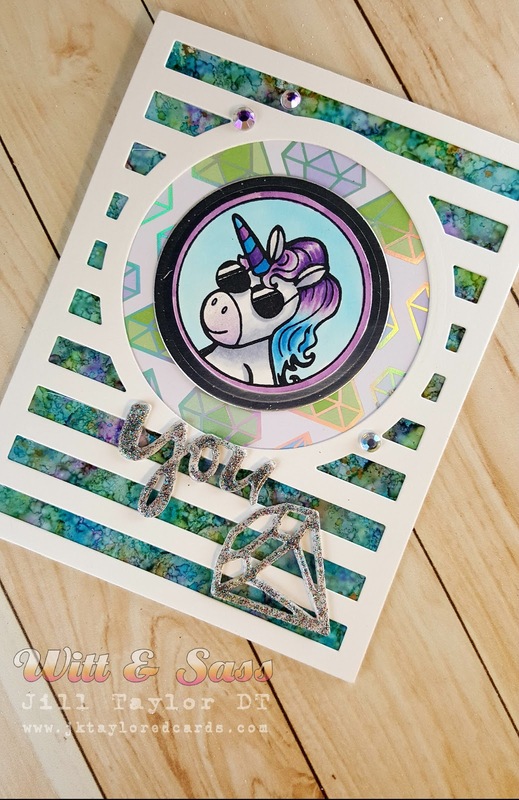 I die cut Avery Elle's Horizontal Stripes in some NSW 110# cardstock, layered up my Copic colored image onto some coordinating patterned cardstock with silver embossed accents, and another die cut circle in silver cardstock. I used some dimensional foam to pop up my "Mr. 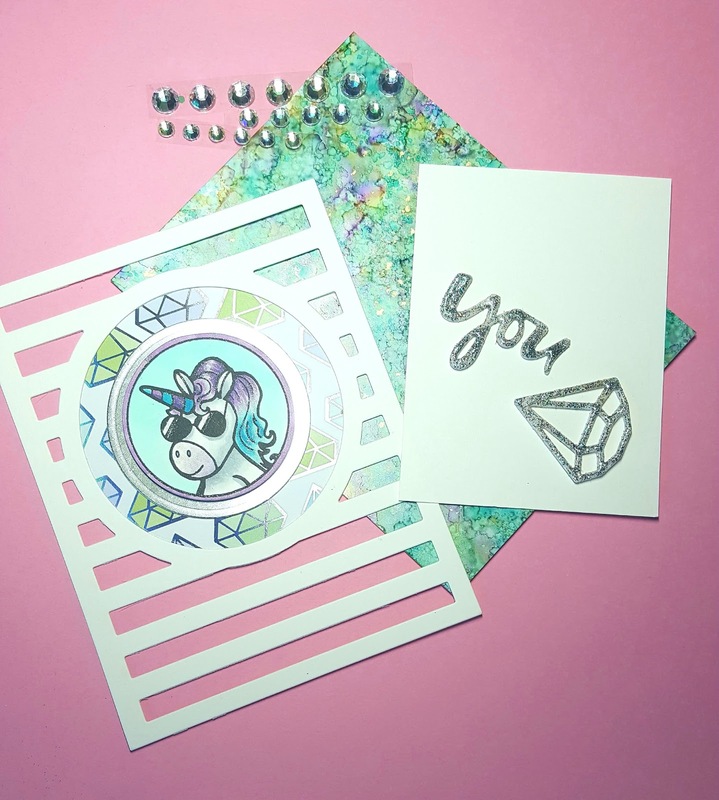 Cool" then found the perfect die cut sentiment from Essentials by Ellen- the You Rock (but in the shape of a gemstone). The perfect match for the cardstock I'd used around my "Mr. Cool," as it had the very same gemstone shapes! I die cut it 3 times and glued them together for added thickness. I then heat-embossed several layers of Brutus Monroe's Rainbow Sparkle embossing powder to make them really sparkle! I adhered all my layers together and glued on the You Rock sentiment, then adhered it all to a standard A2 card base. Lastly, I used 3 iridescent gem stickers from DCWV for a little more bling. That's it, card done! Very simple, but flashy... I love it! I hope you enjoyed my Chubby Unicorn series. Next up will be Magical Creatures. 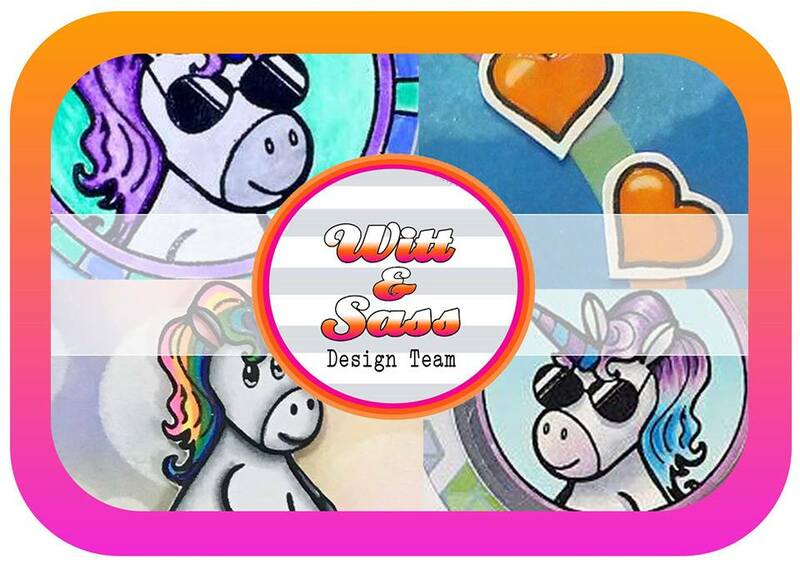 Please take the time to check out Witt & Sass on Facebook and @wittandsassstampco on Instagram. The other DT members have some fabulous creations! 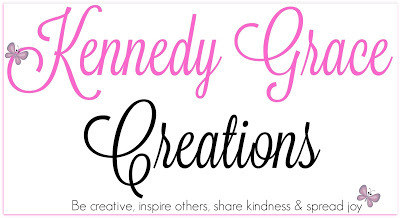 The store's URL is: https://wittandsassstampcompany.com/ Their blog link is below on the right side. 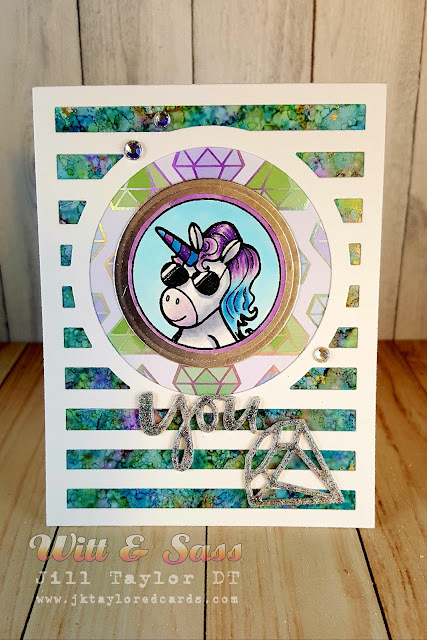 If you'd like to see more of my creations, Instagram has the largest collection of my work, as I do not post blogs on every card I make. 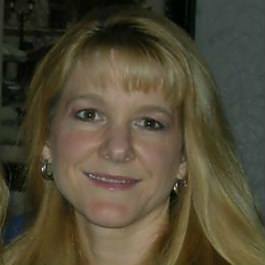 I am jktaylor911. Again, thank you for visiting my little crafty space. My W & S posts are mostly on Tuesdays in August. Come see me again soon! Happy crafting and blessings to you all! My Crafting Arm is Killing Me! !